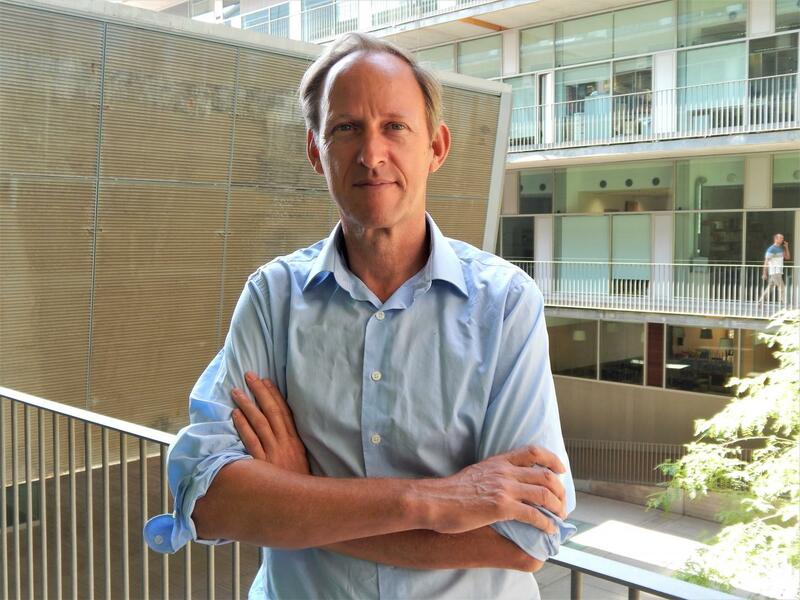 The International Society for Environmental Epidemiology (ISEE) has awarded its highest honour, the John Goldsmith Award, to researcher Mark Nieuwenhuijsen of the Barcelona Institute for Global Health (ISGlobal), a centre supported by the "la Caixa" Banking Foundation . The Goldsmith Award recognises "sustained and outstanding contributions to the knowledge and practice of environmental epidemiology" and is awarded annually to professionals who have "contributed in substantive and innovative fashion to the methods and practice of epidemiology over many years". Nieuwenhuijsen is recognised worldwide for his work to promote healthier cities that eschew today's high-pollution, car-centric model of urban living and for his research on the links between transport and health. In recent years, his work has focused on promoting healthy and sustainable approaches to urban and transport planning through the reduction of car use, promotion of public and active transportation and greening of cities. "I am very honoured to receive this award, not only because it is the highest honour in the world of environmental epidemiology but also because it is a recognition of the importance of the topic of my work," commented Nieuwenhuijsen. "In a city like Barcelona alone, 3.000 people die prematurely every year due to suboptimal urban and transport planning", he added. The winner of the 2018 Goldsmith Award was announced on 29 August 2018 during ISEE's annual meeting in Ottawa (Canada). Nieuwenhuijsen's selection marks the second time in four years that ISGlobal researchers have received the Goldsmith Award (Jordi Sunyer was the winner in 2014). ISEE presents four other annual awards in different categories, including the Rebecca James Baker Award, which recognises young researchers who demonstrate "a commitment to environmental epidemiology as a tool for improving public health and quality of life". The winner of this year's Baker Award is Haneen Khreis, a former ISGlobal researcher who now works at the Texas A&M Transportation Institute. In addition to being selected for this year's ISEE awards, Nieuwenhuijsen and Khreis are also co-editors of Integrating Human Health into Urban and Transport Planning, a new book published this year by Springer that brought together the world's leading experts on urban and transport planning, environmental exposures, physical activity, health and health impact assessment to discuss challenges and healthy solutions in cities.